Maruti Suzuki India celebrated its Fifth anniversary for its compact and peppiest model Maruti Swift Dzire. It has become a gem of a car after Alto and Swift hatchbacks. 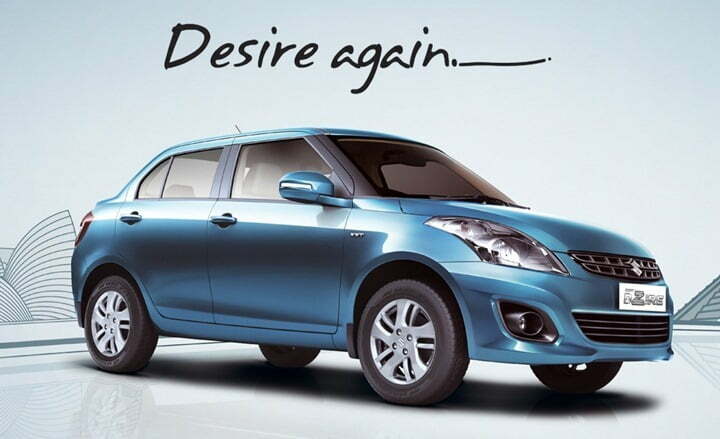 The auto major has account higher sales figure because of successful sales of Dzire. The sedan is the entry level car for the company. The celebration happened with consumers in several cities. In this rally which is known as Dzirable Mileage Rally predictably sixty two consumers with their families have taken part. The rally held in one of the places in Bombay a day ago. Bombay witnessed the ceremonial flag off that initiated from the HP petrol pump in Bandra. The rally covered the distance of at around fifty five kilo meters. The rally started from the petrol pump to end on its destined place The Park Hotel at CBD Belapur. The rally was organized by the company in order celebrate the increasing sales and the fifth anniversary for Swift Dzire’s launch. Company has marked at around 5.5 lakh figures for cumulative sales. One of the other celebrations happened in the Maruti Camp, and that is for the launch of ‘Regal’ model. Regal is launched after Honda Amaze launched in the sub continent. Regal was the special model launched in the petrol trim. This celebration of Dzirable Mileage Rally happened across the country in thirty one cities over the week end. Winner who won for clocking in the best mileage of 45.8 KMPL with the diesel trim was Mr. Gurdeep Singh. Mr. Singh got a coveted crown from the company. In the petrol trim of Dzire Mr. Shrirang Chindarkar won the award for clocking in the best mileage of 42.1 KMPL. The event happened in the city was interesting and an average of 30.6 Kmpl mileage was recorded for the petrol trim. The diesel trim recorded the mileage of at around 32.4 kmpl. As per the certification figures of mileage the car gives 19.1 KMPL for petrol trim and 23.4 KMPL for the diesel trim. Company has organized the rally to thank the old, new and future consumers. This is an Innovative way to thank the consumers. The company is sitting on cloud nine as the auto major has set a bench mark by making more than five lakh sales in just five years. This is probably a milestone for every auto major which Maruti has achieved in the some past years. This might be a probable dream for every auto maker. It seems that more then Maruti there is nobody else who understands Indian consumers demand well. This is why the result for Maruti Suzuki came in such a positive manner. Maruti Suzuki’s official said that “The consumers of India have helped us to achieve the tough target in an easy manner”. The higher sales number reflects that there is strong consumers connect, as the car gives low cost of ownership and higher fuel efficiency. The consumers whosoever participated in the rally was provided by the time charts, map of the route and maximum mileage booklet for the reference. This means that the cars ran on pre destined route. Before starting the car rally company’s engineering and technical team had also given tips and views to consumer as how can they increase the fuel efficiency of their cars.